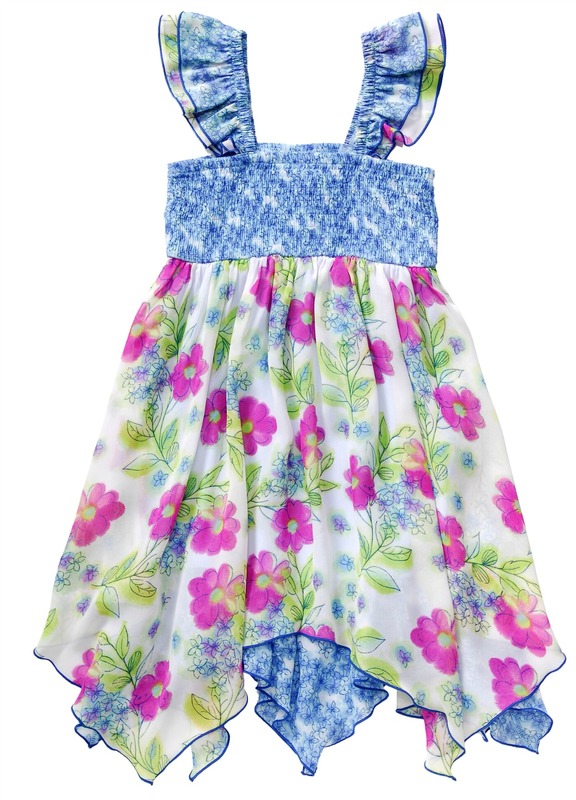 Sweet smocked floral chiffon dress. Gorgeous colors! Smocked bodice, hanky hem and pinafore sleeves.